2017 finished off with a bang, in a beautiful Betzavta seminar in Krzyzowa, Poland. 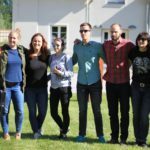 Participants from Poland, Denmark, Germany, Romania, Croatia, Spain and UK got together for 5 days of intensive Betzavta work. Especially prominent in this training was the focus on process, and looking how often we are wrapped up in reaching results, that we dismiss and forget all the richness of the present moment. Coming out of your own filtered perspective was also encouraged, and as one participant so simply but poignantly stated, “I learned that what I thought was objective was actually subjective.” A simple but very deep realization. The evenings included improv theater and a warm and inclusive social atmosphere. Dec.6-13, 2017. A beautiful restorative circle took place in the North of Denmark, Jutland, which finished off the year-long Restorative Circles project for the year. This circle brought together a group of Israelis living in Denmark, whose politics and opinions were vastly different. This difference had created a battlefield dynamic on social media sites such as Facebook, and meeting in person provided the opportunity to let go of some of the rage too easily expressed without the face-to-face contact. The circle looked at personal values, past unresolved tensions, and of course the issue of Israel-Palestine, and how this topic is approached. As one participant finally expressed, “We got basic tools for a respectful dialogue based on listening in spite of disagreement. The most amazing part was the feeling of community and strong sense of belonging that was formed, even though no-one actually changed their opinions at all”. 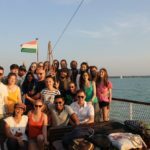 The project officially ended with a final conference in Budapest, Sept.21-24, 2017. To see more info about participation figures in the different cities for this project, click here. Mellem Education found a new partnership with IYNF, International Young Nature Friends. 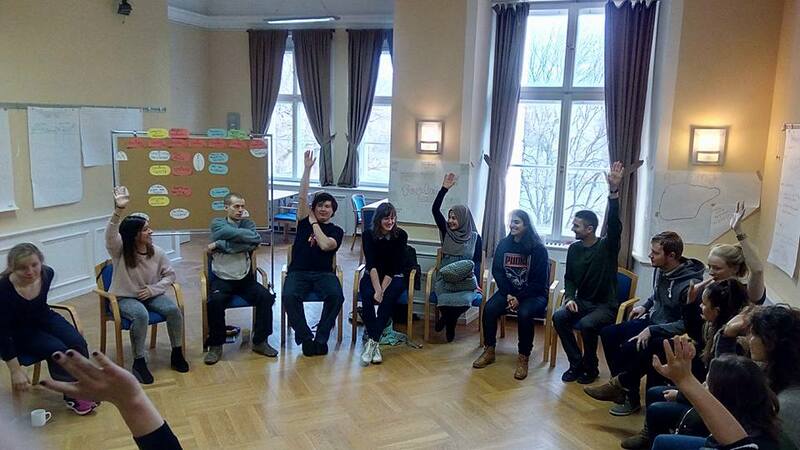 This organization, dedicated to raising awareness about environmental issues among youth, held a training to discuss and reflect on a slightly different area – the area of Refugees in Europe. 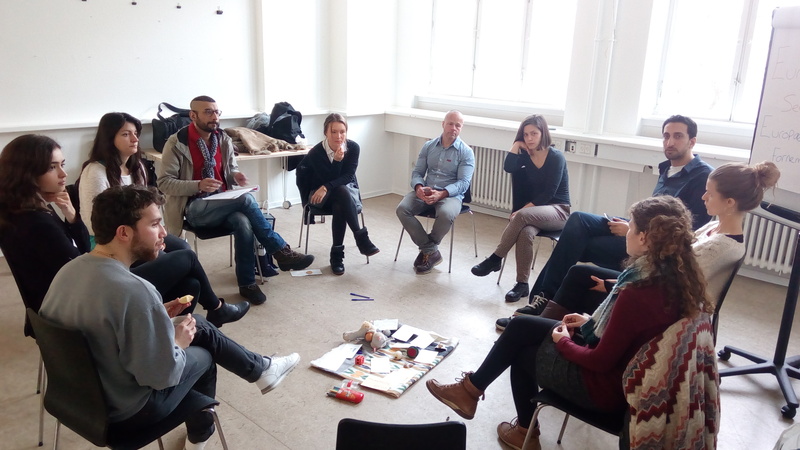 Tali was hired as one of the trainers, implementing Betzavta as well as other methods to challenge and support participants through this complex topic. 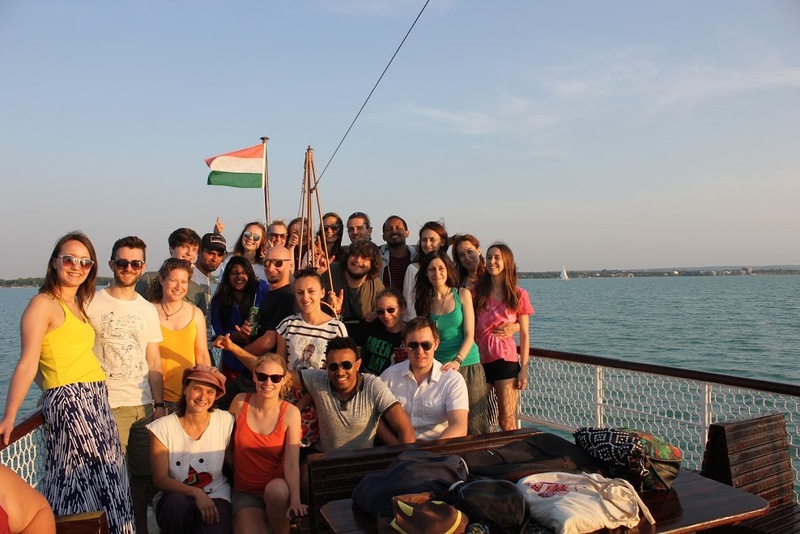 The training took place on the beautiful Balaton lake in Hungary, and participants came from Germany, Portugal, Albania, UK, Poland, Czech Republic, Russia, Armenia, Hungary, Italy and Latvia. June 19-24, 2017. 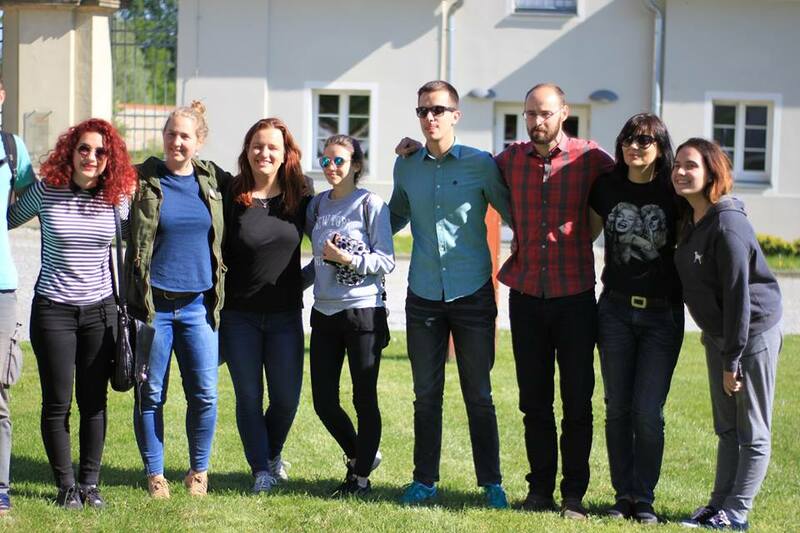 Another successful Betzavta seminar took place in Krzyzowa, Poland, in partnership with the Kreisau Initiative in Germany. 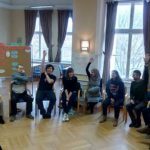 This Erasmus+ training course brought together participants from Germany and the Balkan region, including Croatia, Serbia, Macedonia and Bosnia, as well as an intercultural mix from Germany. 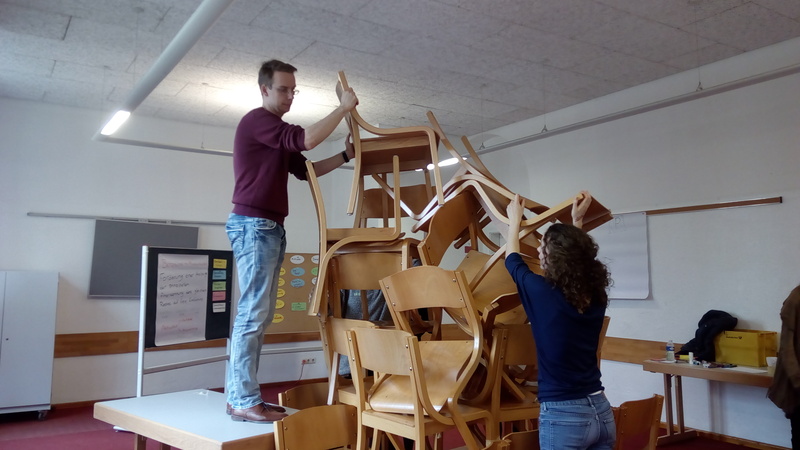 The 5-day long Betzavta course included many reflections about intercultural communication, group dynamics, and how to resolve interpersonal conflicts, using a needs-based approach and the practice of reflection on process through Betzavta. A fruitful and intensive week! May 13-20, 2017. 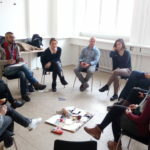 Mellem Education is a partner for a European project called Restorative Circles, using the method of the restorative circle and the talking piece to hold a conversation between people that are pro-EU and EU-skeptics. This project, funded by Europe for Citizens, takes place over 6 weekends throughout 6 months, in 5 countries – Denmark, Germany, Greece, Hungary and Italy. Trainers from these countries have all been trained in the Restorative Circle and have held a series of circles in different cities in their countries. Visit our website circlespaceurope.org for more info. Now in its fourth year, Salaam Shalom Passover celebrated the Jewish holiday of Pesach/Passover on April 9 with an inter-faith, intercultural group of people from all over the world. 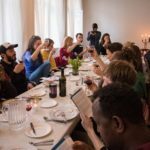 40 people originally from different parts of the world (including US, Israel, Sudan, Syria, Iran, Afghanistan, Germany, Sweden, Czech, Hungary, Denmark) celebrated Passover together in a creative way, including interactive activities about Freedom, and asking questions. There was some singing, eating, drinking, explaining, discussing and generally an evening to share and learn from one another. See the video here. And photos by Marissa Klug here and by Jacob Holdt here. Another round of FSJ (Freiwillig Soziales Jahr) trainings took place in Werneuchen, a small town near Berlin. 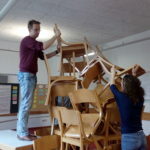 Every year, these German volunteers get together for further training and development, and one of the options they choose is a Betzavta training. This round consisted of two weeks, with two different groups, who experienced the depth of the Betzavta training and questioned and challenged themselves and their own awareness. This is the fourth year that Tali has facilitated these trainings, and they get better every year! Mar.6-10 & 13-17, 2017.